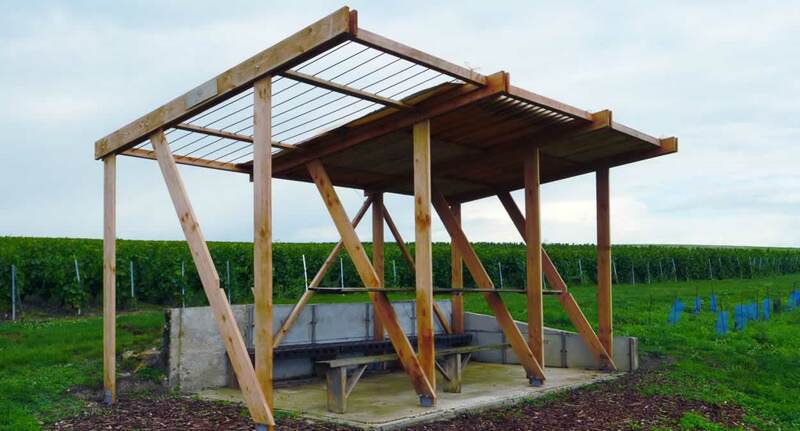 Champagne’s latest twist: new-generation vineyard shelters! These modest vineyard huts or shacks, sometimes called “cadoles”, began to appear in Champagne in the 16th century. More commonly known as loges, these traditional structures were erected on hillsides and scattered alongside farmland paths, where they were used to store the vintner’s tools, and served as shelter for eating or taking a siesta. The huts were found throughout the region until the late nineteenth century, when — following the advent of agricultural mechanisation — they quickly fell into disuse… but were anything but forgotten! 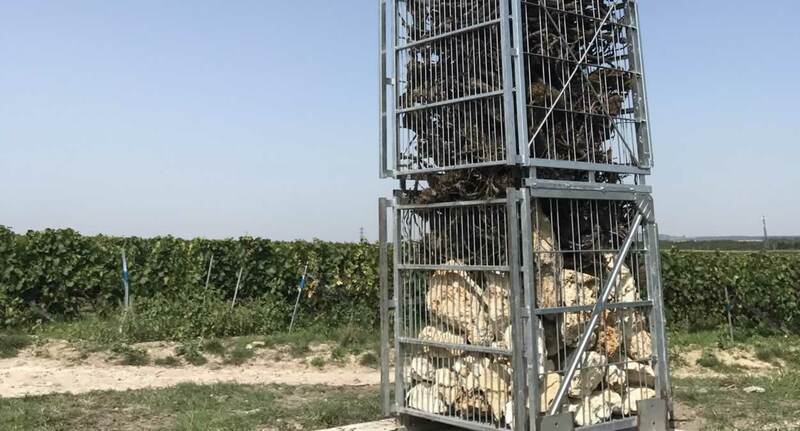 The huts are not just a reminder of the vineyard landscape of yesteryear; they are now well on their way to shaping the future. 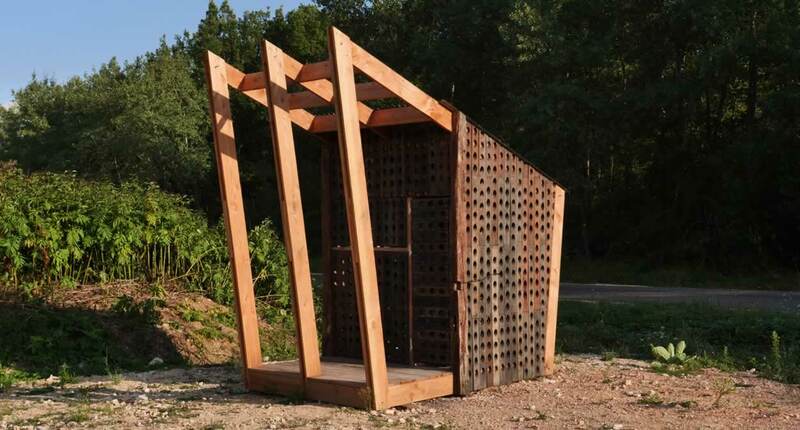 At the very first Architecture et Champagne summer school, thirty-four student architects from France and abroad were tasked with designing and restyling eight vineyard huts spread across Champagne. 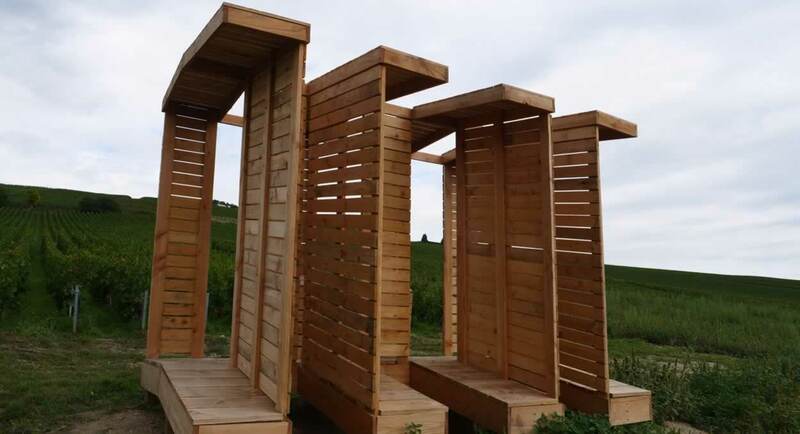 You can explore these new-generation loges, which have been built mainly using waste material, on a special trail. 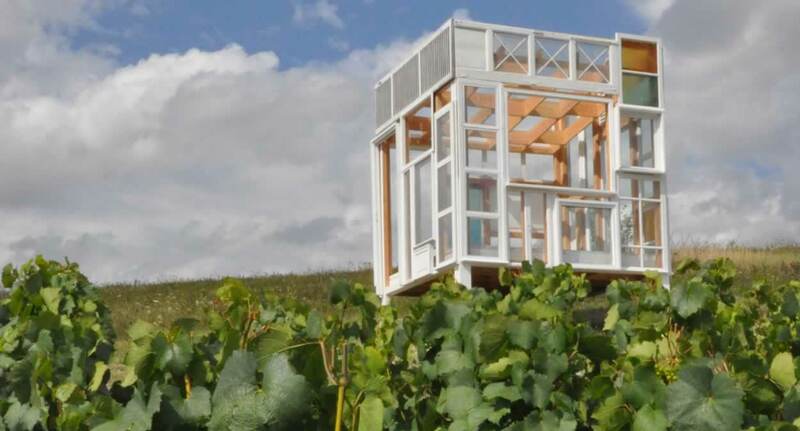 The huts can be used as temporary exhibition spaces, a place to meet at harvest time, for wine tastings or for a spot of relaxation — in short, they let the creative spirit run wild! 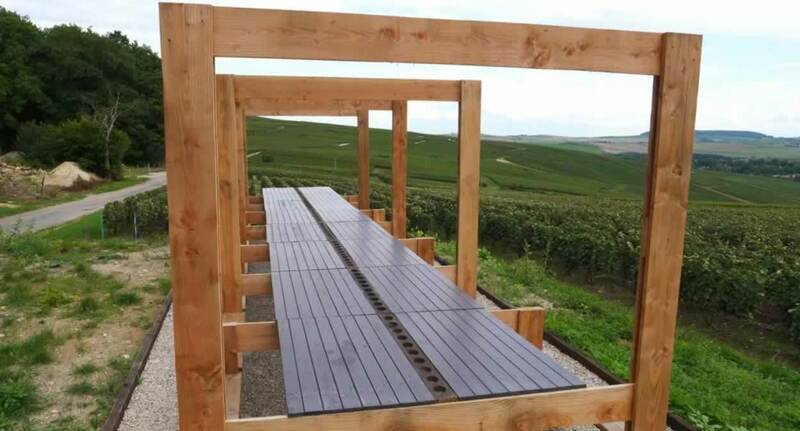 One shelter is equipped with a swing, another can be converted into a huge picnic table and yet another into an open-air bed, all with breathtaking views over the vines, inviting visitors and walkers to enjoy a pleasant break. 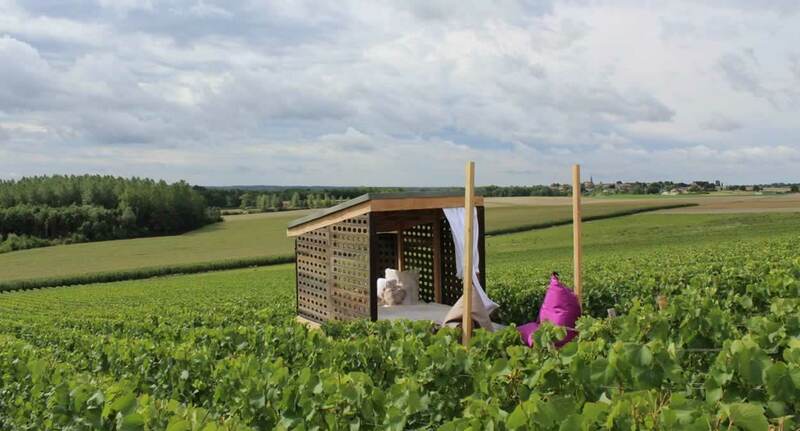 A second summer school will be held in 2018, with the promise that new, equally unusual huts will punctuate the Champagne landscape and expand the circuit. 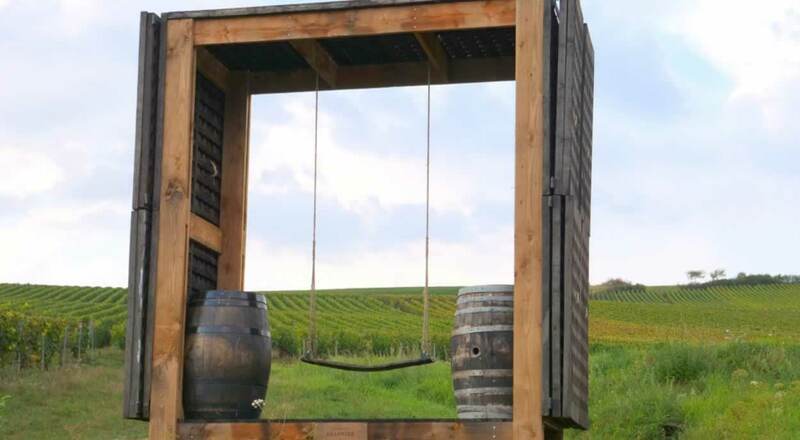 It’s a fine initiative, one that reflects the inclusion of Champagne’s hillsides, houses and cellars on UNESCO’s World Heritage List. It is also an invitation to cast a curious glance at this wine-growing region — come and discover our loges and every aspect of Champagne’s heritage!